Every once in a while a book comes along that is just a pure joy to read. From start to finish, you keep turning the pages, lost in another place – not wanting to return to the real world. With Invitation to Die, Helen Smith has written just such a book. Very much in the mold of timeless traditional mysteries like those of Agatha Christie and Dorothy L. Sayers, Invitation to Die features an amateur sleuth named Emily Castles. As the novel begins, Emily is unemployed and unsure of what her future holds. So, when Morgana Blakely asks if she would be willing to help out with the organization of a romance writer’s conference, she has no option but to accept. Little does she know, but this temporary gig is about to unleash her inner detective. As was common in classic mysteries, the first chapter of the book introduces all of the major players who are going to feature in the action to follow. As readers first meet each of them, they gain valuable insight into what makes these people tick. There’s Cerys Pugh, who is extremely angry over a poor review she has received; and Nik Kovacevic, the manager of the Coram Hotel where the conference is being held; not to mention, Zena (no last name needed), the author of a sensual new novel called Venus in Velvet. This “inventory” of featured characters ends up containing about ten individuals, each of whom is unique and memorable in their own way. And each one of them is about to become a murder suspect. One name that certainly isn’t going to be forgotten is that of Winnie Kraster. Helen Smith wastes little time before revealing that Winnie will be the eventual victim of murder. As the novel begins, It seems that Winnie has just found out that she is the winner of an all-expense paid trip to the conference and by accepting the prize, she has just accepted her invitation to die. It is worth noting here that the character of Winnie Kraster is a book blogger, who reviews romance novels online. The book blogging industry plays a prominent role in the plot of the novel, so it is only appropriate that “real world” blogs review this novel. Helen Smith does an admirable job of presenting both sides of the case in terms of the value of blog reviews, as well as covering the star rating system employed by many sites. This never interferes with the light-hearted and fun nature of the novel, however. Towards the end of the book, as Emily Castles gathers all of the key players into one large conference room, readers will know that the killer is about to be revealed in classic Agatha Christie-style. This fanciful mystery is over much too soon, but the good news is that Emily Castles will be back soon to stumble upon and solve another mystery. And readers who enjoy the short story format can already download two stories featuring Emily. 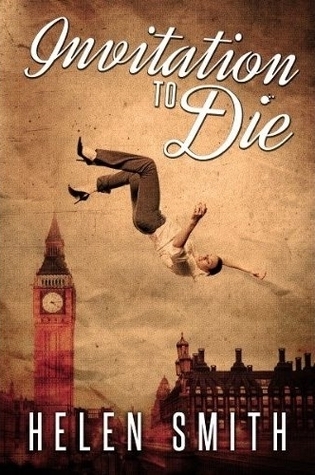 Add Helen Smith to your list of authors to watch for and add Invitation to Die to your summer beach reading list. Scheduling Update: Come back tomorrow, Wednesday, July 3, for the BOLO Books interview with Helen Smith. I read Invitation To Die and LOVED it. It’s a very entertaining read. Thanks for stopping by Donna. It was such a fun and quick read. Perfect for a summer afternoon. I hope other reader’s find it!